During her visit to Bulgaria, US Secretary of State, Hillary Clinton, is to extend an official offer to the Bulgarian government for the acquiring from the American army of several secondhand fighter jets F-16. The proposal would be for Bulgaria to receive them as a gift, according to a report of the Bulgarian "Trud" (Labor) daily. Bulgaria will, however, have to find the money for repairs and for putting them into use. The US will offer 4Block-25 craft, manufactured about 20 years ago, which are part of the frozen reserves of the American army. "Trud" is citing experts saying that in order to make them usable, Bulgaria will have to shell about BGN 15-20 M on average for each of them. They also stress that the US Administration aims at expanding the market for such equipment on the Balkans. In addition to the said amount, there would be a need to build a logistics base and train maintenance personnel. For several years now, Bulgarian pilots are training with the US Air Force, precisely on these fighter jets. During her official visit to Bulgaria Clinton will also meet with Prime Minister, Boyko Borisov, and President, Rosen Plevneliev. Ministers of the cabinet will be present during the talks. 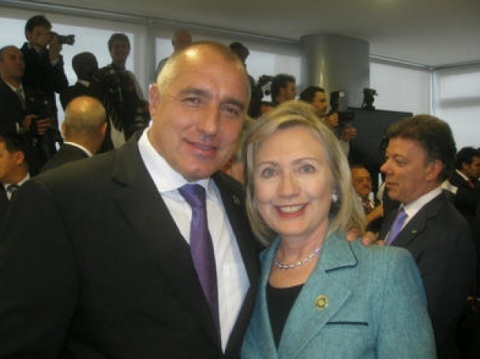 Hillary Clinton has already been to Bulgaria in her capacity of First Lady, when husband Bill Clinton was US President. The visit to Sofia took place in October 1998, when she participated in the conference "Women of the 21st century." The visit comes on the invitation of Nikolay Mladenov back in October 2010 during his visit to the US when the Bulgarian government's anti-corruption measures were discussed. Mladenov informs that other topics of the agenda include alleviating US visa regime for Bulgarian citizens, Bulgaria recognizing years of service for Bulgarians, who have worked in the US; strategic partnership between Bulgaria and the US in the security sector, in NATO, and in the NATO mission in Afghanistan, partnership on the Balkans, and the situation in the Middle East.